I like to try to capture insects in flight – but it is not always easy! These two photographs are not great (I am not sure if the shutter speed at 1/1000th sec was too slow to freeze the action, or too fast to blur it!) but at least the butterfly is flying, rather than resting on a leaf. Despite their relatively slow and flappy flight, these danaid butterflies often fly huge distances on migration, so they deserve our respect! 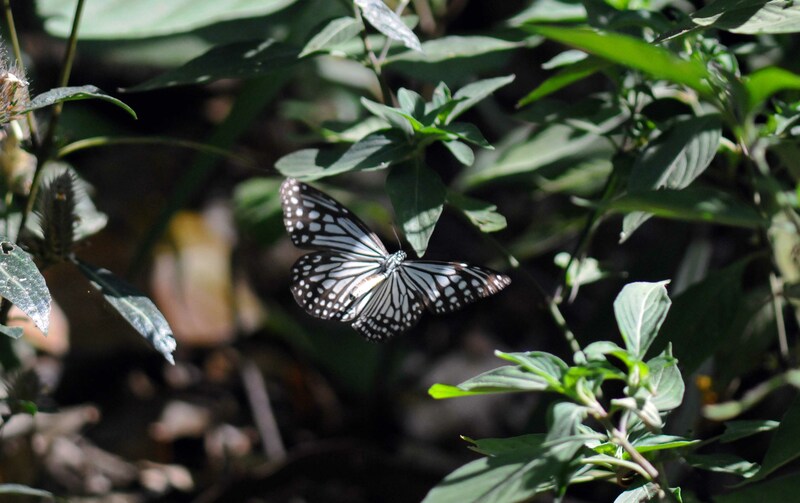 One – a Blue Tiger ( Tirumala limniace) – flew all the way from Japan to Hong Kong, a journey of over 2,500 kilometers! We know this because someone in Osaka had written YSK541 on its wing (1). It may have been trying to get away from scribbling scientists, but was probably migrating with its pals to a warmer climate (2). Danaids over-winter in large numbers on this island. 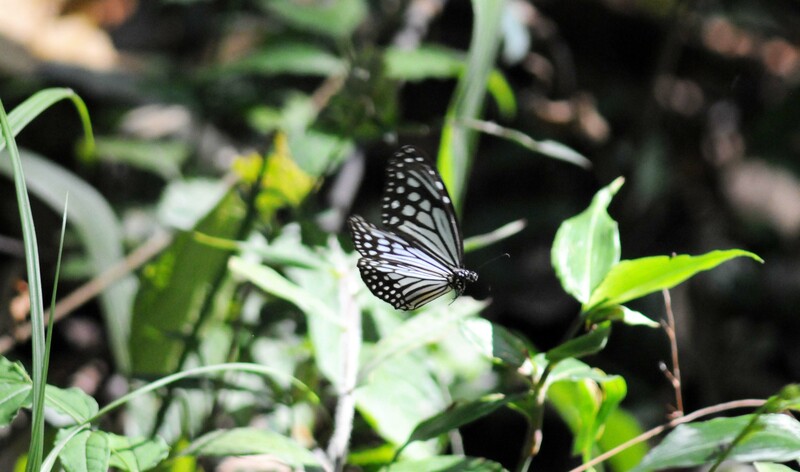 I took these photographs on a walking trail on Doi Sutep-Pui National Park, above Chiang Mai in Thailand. Ray Cannon's nature notes Flap happy!